New Mexico transmission line construction can be made easier with the help of FairLifts. 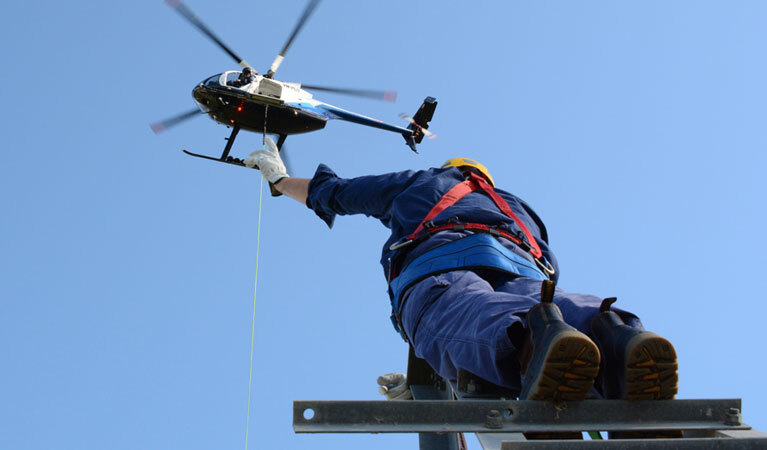 We can arrange a variety of helicopter services including utility pole installation, stringing lines, inspecting sites, performing logistical transportation, and take away the burden of heavy lifting. Our company partners with only the best pilots and crew around to assist with your New Mexico transmission line construction. Our services are customizable and we care about helping you get the job done. Our operators are standing by ready to answer your questions. Similar in terrain to Colorado, New Mexico boasts a wide range of various terrain including The Great Plains in the eastern region of the state. In addition to having plains, New Mexico also has mountains, mesas, basins, and desert land. Over five different national forests can be found in the state with a wide range of national parks located in the state. Terrain can prove a challenge in any New Mexico transmission line construction project. 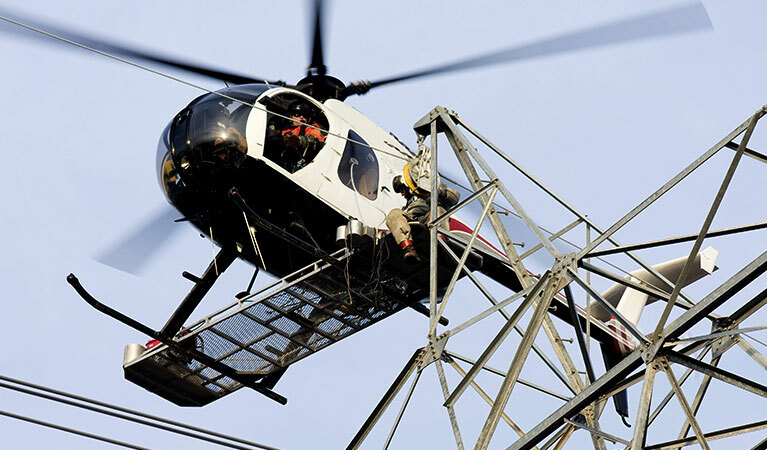 Having a helicopter assist you can help make your transmission line construction go smoother. Normally, a ground crew has the burden of doing the heavy lifting. While they can get the job done, a helicopter can often times get tower construction and heavy lifting jobs done faster and with more ease. A helicopter itself can lift a massive amount of weight. Leave the burden of coordinating heavy lifting for New Mexico transmission line construction to FairLifts. Stringing wire can be tricky, especially when a worker needs to be lifted up from the ground. 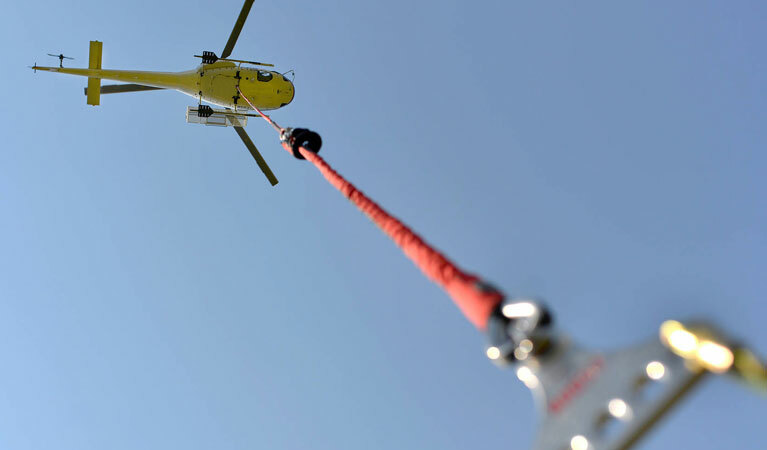 A helicopter can fly in—and with the help of a skilled pilot—can string wire for you. Experienced pilots and utility workers are adept at stringing wires and can have several wires strung within a fraction of the time it takes via traditional means. As stated before, helicopter crews can help take away some of the heavy lifting a ground crew normally has to do. New Mexico transmission line construction can be easier when you have a helicopter help with the burden of installing utility poles. Traditional ground methods of observing an area for transmission line construction are time consuming. Driving in general is time consuming. When you take to the skies with a helicopter for inspections, this time is drastically reduced, alleviating hours a ground crew would need. Transportation is another area where a helicopter can help out. Terrain can create obstacles for New Mexico transmission line construction. Having a helicopter on your side can help when transporting crew or simply assisting with transporting supplies throughout the state. FairLifts arranges helicopter transmission line construction throughout the state of New Mexico. If you have a question, we are only one phone call away. Operators are standing by 24/7 to offer their assistance, answer your questions, and provide you with a quote.